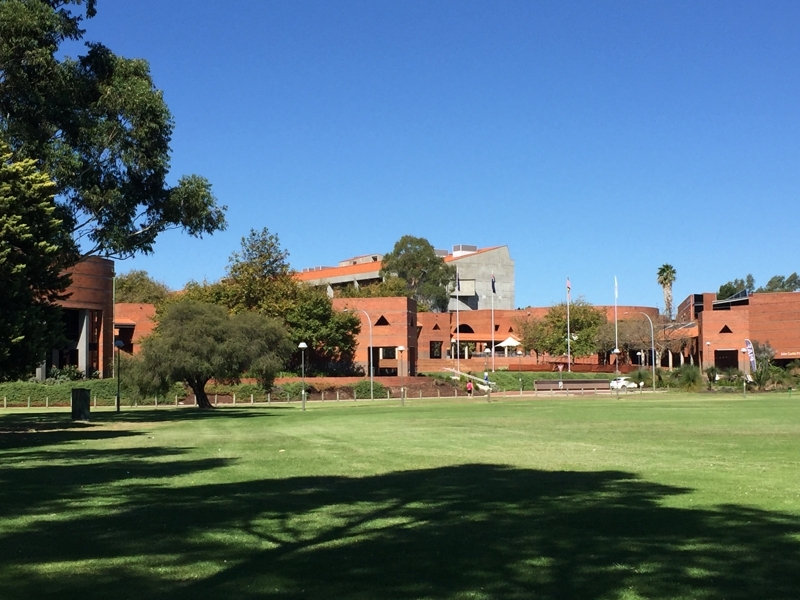 Curtin University (formerly Curtin University of Technology) has a campus based in Bentley, Perth. It also overseas campuses in Dubai, Malaysia, Singapore and Mauritius. Curtin is ranked #1 in our University ranking based on students ratings. We have Curtin University reviews across a range of topics including Engineering, Arts, Commerce, Science, Education, Science, Psychology and IT. Try to get practical/internship opportunities, go to networking events and learn how to network. My advice to future students is: I would recommend attending every class that is offered, as it is very easy to fall behind in the large work load. I would also recommend being social, as meeting new people definitely enhances your university experience. I'm majoring in Fine Arts and doing this online via Open Universities Australia. Positives: Excellent online delivery. Remarkable organisation of learning exercises to achieve individual skill development. Ready access to tutors and personal engagement with course organisers. Diversity of tutors and high standard of learning materials. Flexibility of curriculum. Lots of options and room for personal creativity/direction. Negatives: Lack of continuity with change of tutors during consecutive courses in third year. You are trying to complete your major work series (four subjects) and change of tutors leads to confusion about expectations. Wastes a fair bit of time and is annoying. Tutors seem overworked and unable to spend time getting familiar with student projects. My advice to future students: Do the drawing courses as early as possible. They are very time consuming. Perhaps double the hours stated in the course outline. They provide skills which are vital to effective composition of other art works. Certainly don't miss them. It is possible to complete the Fine Arts major without the drawing research units but they are brilliant for skills development and for pushing you to explore additional media and processes. I'm studying this online through Open Universities. Positives: The teachers are approachable and encourage an active learning through the online discussion boards. There are no exams, only written assignments or presentations. The units are varied but complement one-another with some crossover in content which is useful in such a broad degree. Negatives: There is a lot of reading. Generally the articles are long. This takes a lot of time and you can fall behind very easily if you don't stay on top of time-management. Positives: I think that Curtin has developed a very good first year program, through a hands on way of learning. The university has created an atmosphere is which students feel comfortable to learn in a familiar envionrment. They have also gone over and above with the resources provided to their students, helping the pupils expand their learning at university. My advice to future students is: I would recommend that the students attend every class that they have been assigned, so that they do not fall behind in their studies as the ilectures that the university offers may be helpful, they do not offer the same helpful nature and advice that a teaching lecturer can offer in person. However, I would also advise them to engage in out of university experiences so that they can have a balanced lifestyle. My advice to future students is: The labs are all leading to something. Even if you don’t understand right now what that is. If I could go back and take the anatomy labs again it would really help my current practice. Try to think about how this will impact treating a real person. I major in Electrical and Electronic engineering. Positives: Students taking this major can specialise in either Electrical Power Engineering, or Electronic Engineering. There is hardly any aspect of modern civilisation that is not dependent upon electrical energy. It is used for heating, cooling, lighting, transportation, manufacturing and production, minerals processing, to name just a few areas of application. Electrical power engineering considers these applications of electrical energy, together with its generation, transmission and distribution, as well as the harnessing of sources of renewable and sustainable energy. Electronic engineering is one of the fastest growing technology areas internationally, and job opportunities in this field abound. With the rapid progress of the information society, the role of electronic communication and embedded systems (Internet of Things or IoT) is becoming even more crucial to increased industry efficiency and competitiveness. The reason lies in the decentralisation of computing power in both the office and factory environment and the ability of specialised communication networks to link all geographically and spatially separated elements. In this specialisation students will learn about the theoretical and practical aspects of modern digital, electronic and communication systems. More recently, the fields of electrical engineering and electronic engineering are starting to converge as society seeks more efficient, safe, reliable, and environmentally friendly solutions to engineering problems. For example, smart grids use electronic and computer technologies to achieve better management of electricity consumption and safety in commercial and domestic environments. This Major will allow students to gain expertise in both the electrical and electronic engineering fields. Negatives: Some Modules If chosen by the student, are not properly structured. One subject was Real-Time operating systems which I took. Thus, I advise new students to go through the module outline and choose the modules wisely. Study in distributed chunks rather than cramming at the last minute. Take actives notes and do practice problems rather than passively reading and highlighting mindlessly. Don't be too proud or nervous to ask for help, but don't rely on it excessively. Research your classes and professors. Plan out your schedule - don't overload on tough classes and avoid profs with bad reputations. Get research and internship opportunities! The best way to do this is just to start looking early and show initiative. Ask professors, go to networking events, do mock interviews, etc. You need to start building your resume and if you recognize this, you'll have an advantage over your classmates by sheer virtue of not procrastinating. Networking is important. Try to attend social events and organizations related to engineering. Don't overdo this and join like seven clubs or do anything stupid, but try to make friends with both your peers and potential employers. The soft skills and factors are important. Get good sleep, exercise right, develop your social skills, etc. If you had to choose between a 3.4 GPA and a healthy social life, and a 3.7 GPA and nothing else, go with the former. Make sure you actually have some reason to do engineering beyond thinking you “should” because you did well in school. Negatives: The units were quite technical to begin with, and require a high level of academic writing and how to research. While there are units available to improve with this, it didn’t offer enough support at times. Positives: I undertake this course, purely online. The information and the layout of our studies each week are really clear and our access to our tutors and the discussion boards make it easier to be involved with our studies, just as much as if we were on campus in a physical classroom. The help and support that is provided by the University is positive and ensures that we feel supported through our studies. Negatives: I couldn't fault the course. But if I were to say anything, I wish that we could do video link so we could see our Tutors/Peers as the fact that the course is purely online means that we have restricted access and visuals to the rest of our class. This would be the only restriction. My advice to future students is: Be prepared to work really hard in this course. There is so much knowledge that you are expected to learn and the study load is quite large. Consider if you are an individual learner or if you learn best by collaborating with others. You have support and peers that are there through discussion boards but essentially you are on your own in your learning.